Our quality printing combined with LOW PRICES and FREE GROUND SHIPPING* within the contiguous United States makes us the best value for printed envelopes on the internet. We utilize traditional offset printing presses for our one and two color jobs utilizing rich ink colors for excellent results. For our full-color printing jobs, we use state-of-the-art high-speed ink-jet digital presses, giving us offset quality printing with the additional capability to print in full CMYK color. Photos, color logos, and other graphics are custom printed in high resolution (2400 dpi) giving you crisp clean images. 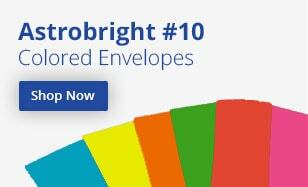 We carry a wide range of sizes of business envelopes from 6-3/4, to 10x13, Window, colored, recycled and more. We also have all the features you are looking for including peel n seal and with inside security tint. 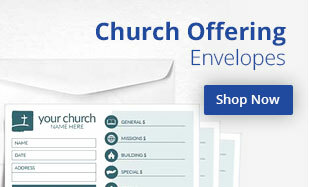 We also offer a variety of specialty envelopes like the Church Offering and Tithe Offering. If it is double window for billing and checks, we've got those too. 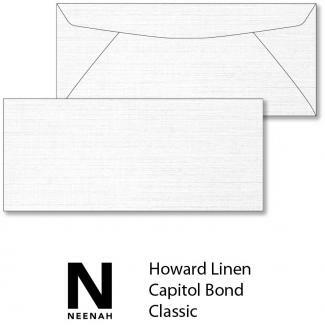 Call or email us with your special window envelope sizes. 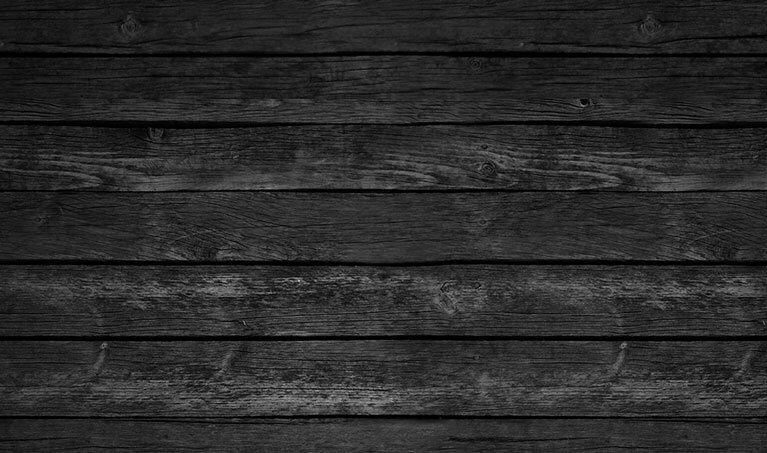 All our stock items are available blank with no printing and are ready to ship the same or next day with free shipping. This is our specialty and we have been doing it for over 30 years. It’s all we do, and we're committed to your complete satisfaction, which is why we offer a satisfaction guarantee on all our products. Order online - fast - from a source you can count on. It's not hard to see why we will be the last stop for the most cost-effective Custom Printing on the web. 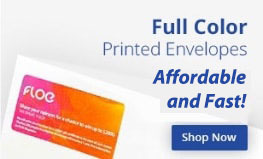 We have proudly provided affordable custom envelope printing since 1988. We take great pride in delivering accurate and economic printing solutions in a timely manner. 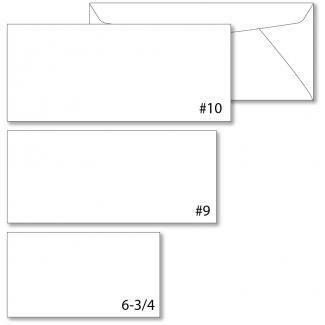 Here is a description of the types of envelopes you can use for envelope printing. Exactly that. 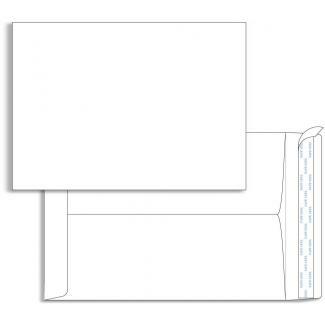 An envelope with a window so that and address can show through from the paper inserted inside of it. There are a standard size and placement of the window but these can also be made custom. Security tint envelopes have a printed pattern inside the envelope. This pattern is usually blue or black and it prevents the contents of the envelopes from being seen through the envelopes. Colored paper is used instead of white. The choices available are blue, green, yellow, pink, ivory and gray. These are available in the three business sizes and with or without windows. 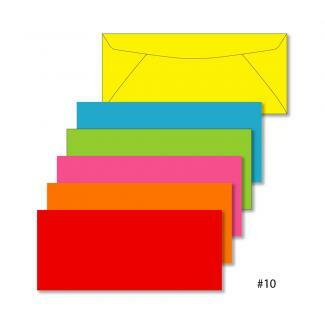 Like colored envelopes but brighter. Using Astrobright paper these take color to the next level. Used primarily by churches and non-profits to collect money. Also known as tithe envelopes or donation envelopes. These are dollar bill sized and have an easy to open flap. Available in white or many popular colors. Larger in size to accommodate brochures, sales literature and printed materials that won't fit in the smaller business size envelopes. These envelopes have a peel-away strip which covers a glue strip. This type of envelope closure makes it easy to seal the envelope without using any moisture. 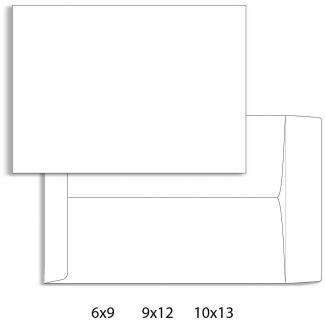 Are smaller envelopes usually used for mailing greeting cards or announcement cards. They come in the standard sizes for this category. This envelope is used as a return envelope. Usually included with other marketing material, the remittance envelope has a large flap that allows for more information to be printed on it and completely covers the inside panels to hide sensitive information. 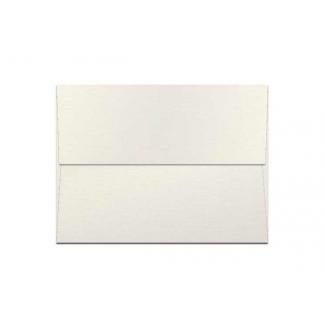 Environmentally friendly envelopes made from recycled 24# White Wove paper. Made with 50% recycled fiber and 30% postconsumer waste. 1000's of Envelopes In Stock and Ready to Print! Special Envelopes like Peel n Seal, Security Tint, Remittance, and Catalogs. 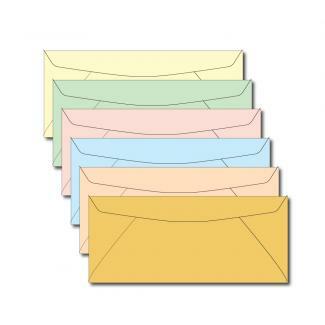 Not sure what type of envelope you need? Our helpful staff can walk you through the options and help you make an informed decision for your business or organization. 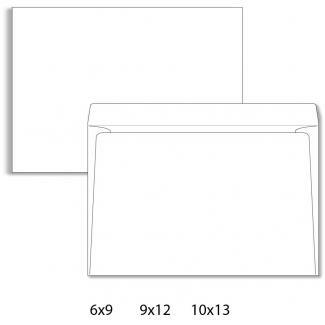 You will want to consider the importance of envelopes in whatever business, community or social event you are planning. If you are launching a large advertising campaign, for instance, then the size, shape, color, font and overall design will need to reflect your intentions. Remember that many envelopes may not even be opened if they are not designed in the right way, and that the first impression given by an envelope can make a huge difference to the response of the recipient. Something fun, colorful and interesting, for example, might evoke a far stronger result than a dull, plain design. However, you will want to ensure that the envelope conveys the right message for its specific intended use. If it's church offerings you're looking for you've come to the right place. Get your church offering printed fast and with free shipping. NEW LOWER QUANTITIES! We carry white and colored church offerings and like our business envelopes, we offer one, two and full-color printing. We can print your logos, artwork and any other requirements you need on your custom printed Church Offering. Need help designing? We offer free typesetting, design, and set-up for your special requests, Just give us a call and speak to a specialist and he or she will take care of all the details. Once your Tithe offerings are printed and shipped, we will always keep your files on hand for easy reorders and changes to your order. 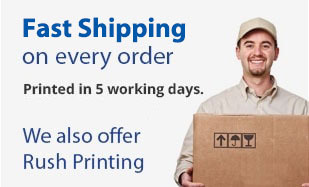 To top it off we offer free shipping on all orders either printed or blank. We have been able help thousands of worship groups, ministries and non-profit organizations with their offering and tithe needs and we are confident we can help you too. We take pride in every project we do and since we have the expertise in this field, we are able to provide the overall best prices and service for our customers. We will go over the top to make sure you are totally happy and satisfied with your purchase with us. For more information or to place an order today, please contact us by email at: sales@econoenvelope.com or by phone at: (800) 325-0476 or further explore our website, where you can check prices, place orders automatically, upload and proof your design!